Piggley is a peach coloured pig with a pale pink snout and pink trotters. She has large, glittery pink button eyes and bright pink embroidered nostrils. This version of Piggley was released on 1st July 2016. When Piggley was first released in 2016, she was a peach colour. 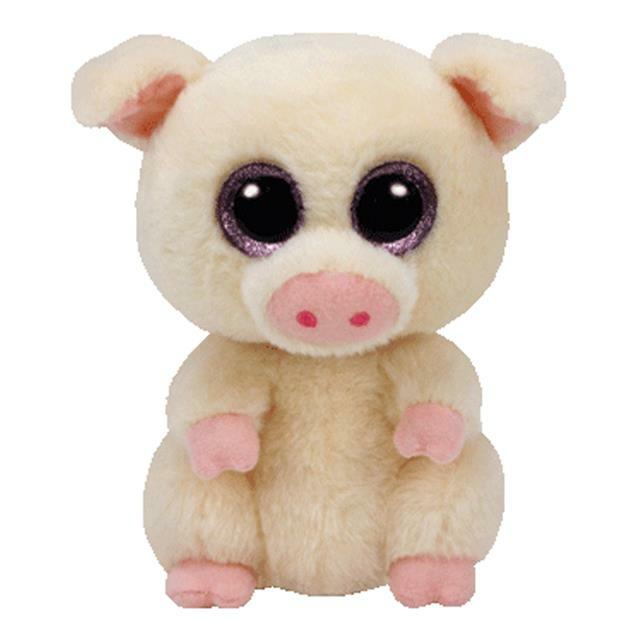 Piggley Beanie Boos released in 2017 were pink instead of peach. Both versions have the same style number.